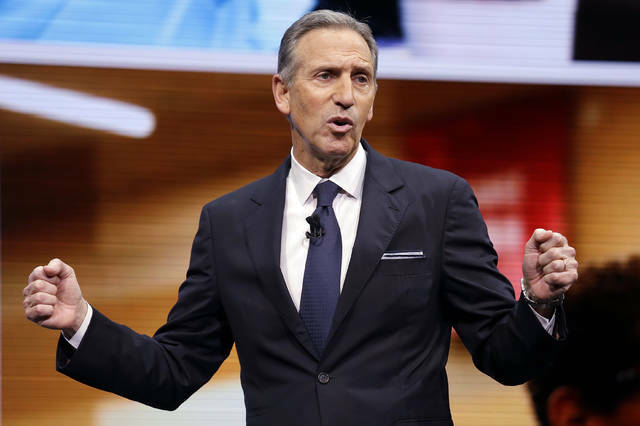 SEATTLE (AP) — The most powerful super PAC in Democratic politics is promising to make former Starbucks CEO Howard Schultz “a target” if he launches an independent presidential bid. Democrats across the political spectrum lashed out at the billionaire businessman on Monday after he teased the prospect of an independent 2020 bid, a move Democrats fear would split their vote and all but ensure President Donald Trump’s re-election. “If Schultz entered the race as an independent, we would consider him a target… We would do everything we can to ensure that his candidacy is unsuccessful,” said Patrick McHugh, executive director of Priorities USA. The super PAC spent nearly $200 million in the 2016 presidential contest, much of it to support Democrat Hillary Clinton. Democrats conceded that they had few tools to dissuade Schultz from launching an independent campaign — as he told “60 Minutes” he was considering — though many were skeptical that he would actually follow through. No presidential candidate in the modern era has run a successful independent campaign. Former New York City Mayor Michael Bloomberg offered Schultz a direct message based on his own experience. 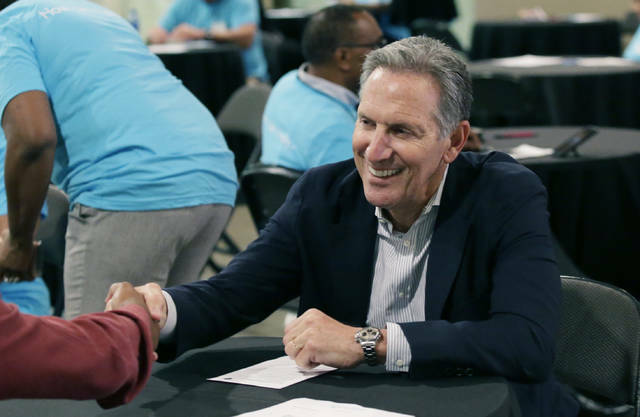 “At this time in America when there’s so much evidence that our political system is broken — that both parties at the extreme are not representing the silent majority of the American people — isn’t there a better way?” Schultz said, noting that he’d be traveling the country in the coming weeks and months meeting with voters. The 65-year-old Seattle billionaire launched a tour Monday to promote his latest book, “From the Ground Up: A Journey to Reimagine the Promise of America.” He has stops this week in New York; Tempe, Arizona; Seattle; and San Francisco — but no dates listed for the early voting states of Iowa or New Hampshire. He took over Starbucks when it sold only coffee beans, not cups — it had 11 stores and fewer than 100 employees at the time — and grew it into a global behemoth that now has close to 30,000 stores in 78 countries. 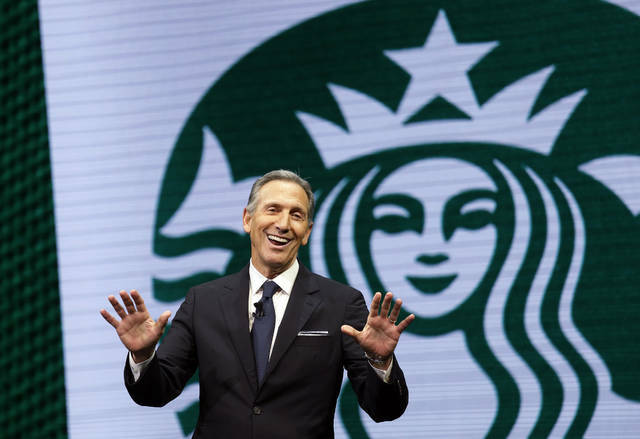 Along the way, he adopted an ethos of corporate responsibility, making Starbucks one of the earliest U.S. companies to offer stock options and health insurance even to part-time employees, and more recently partnering with Arizona State University to cover tuition for workers who want to earn their bachelor’s degree online.